There are many natural proven ways to help prevent cancer. Eat Organic– A new study published in the peer-reviewed journal Entropy indicates that glyphosate—the main ingredient in Monsanto’s Roundup weed killer—may be linked to cancer. Glyphosate is just one of the many pesticides used in food production that has been linked to cancer. Eat Orange coloured Foods– Carotenoids are a group of phytonutrients that provide the yellow-orange-red pigments found in foods like carrots, sweet potatoes, apricots, mangoes, pumpkin, tomatoes, papaya, peaches, squash, and other similarly colored foods. 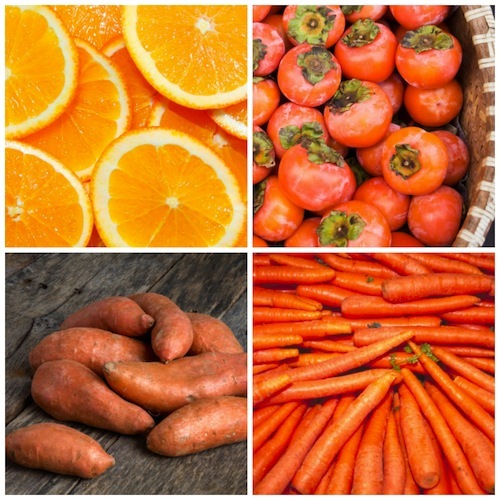 You may have heard of beta-carotene, lutein, and lycopene, all of which are specific types of carotenoids. Studies at Harvard University of more than 124,000 people showed a 32 percent reduction in risk of cancer in people who consumed a variety of carotenoid-rich foods as part of their regular diet. Eat Anti-Cancer Superfoods—Blueberries, Broccoli, Garlic, Green Tea, Pomegranate, Tomatoes, Turmeric are some of the excellent foods with demonstrated anti-cancer properties. The list of anti-cancer foods is long but they share one thing in common: they are all plant-based—fruits, vegetables, nuts, and seeds. Get Adequate Vitamin D—Vitamin D is one of the body’s best defences against disease and cancer is no exception. Moderate and responsible sunlight exposure is still the best way to get sufficient vitamin D. Supplementing with vitamin D may also be necessary. A common dose is 1000 IU/day. Follow package instructions on the product you choose. Because vitamin D is fat-soluble it can be stored in the body and build up to excess amounts when overused. Address a Magnesium Deficiency–According to research in the journal Nutrition Reviews, low magnesium intake increases the risk of cancer. Magnesium is found in almonds, sesame seeds, sunflower seeds, figs, lemons, apples, dark leafy greens, celery, alfalfa sprouts, and brown rice. Recommended doses of magnesium vary between 200 to 800 mg daily. Consume Seeds for Super Immunity—Pumpkin seeds(Egusi) are proven protectors of the prostate gland and are a great addition to men and women’s daily diet. Choose seeds that are raw and refrigerated to preserve the integrity of Omega 3 fatty acids they contain. Other great seeds with cancer protection capabilities include: chia, flax, hemp, and sunflower. Zinc Up—Zinc is involved in over 300 bodily functions including the production of the potent antioxidant enzyme known as superoxide dismutase (SOD). SOD is one of the body’s best defences against cancer due to its free-radical fighting ability. Zinc is found in many types of sprouts, pumpkin seeds, Brazil nuts, onions, and dark leafy vegetables.